Q5: Amongst the H!P members, if you could be in a one-day-only unit together with someone, who would it be with? Please tell us your reasons. 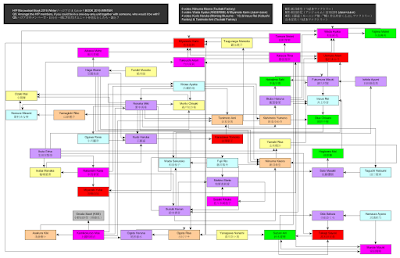 52 members is a pain to put in a graph, so I've got two versions below: A compact version where the arrows are a bit harder to read, as well as a 'spread out' version where it's easier to follow the connections. 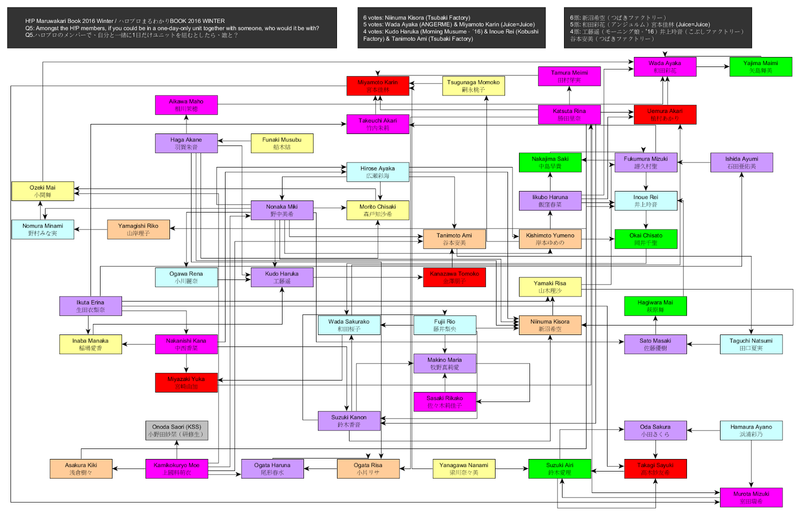 And here's a everything in table format. Yanagawa Nanami: It would be Suzuki Airi-san. I want to be together in a unit with her! She's awe-inspiring, and she's really good at singing and dancing, so I can learn a lot by just being with her for one day! Yajima Maimi: Ayacho (Wada Ayaka)! Since she's like a little sister to me ♥ lol. Wada Ayaka: Yajima Maimi-san. Since I love her!!! Within my group, there's no one who's older than me, so I'd like to sing with Yajima-san, who's like an older sister to me!! While Nacky isn't great with her juniors, Fuku-chan has mentioned before that she likes Nacky and would like to speak more with her. Nakajima Saki: Fukumura Mizuki-chan. I hope that we'd be able to perform a song together, be it a cute song, or a cool dance number. Fukumura Mizuki: Nakajima Saki-san, Inoue Takeuchi Akari-chan, Inoue Rei-chan. They possess a lot of charm that I don't, so I feel that I'd absorb a lot if I were with them! 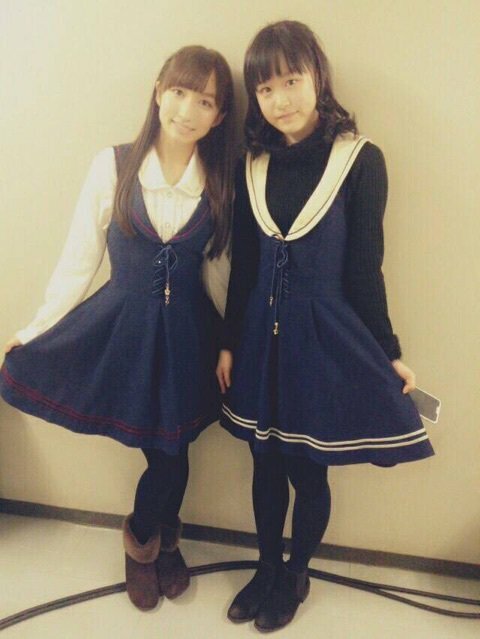 Two of H!P's songstresses. I'll just add in a bonus Oda-chan given that she's kind of entwined with the other two. Not that I'd complain having her added to the mix. 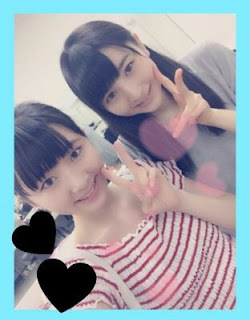 Suzuki Airi: Oda Sakura-chan and Takagi Sayuki-chan... A unit with just the 2 of them (laughs). I'd like to be their producer (laughs). I feel like their performance would be quite the sight ♥ (laughs). Takagi Sayuki: Suzuki Airi-san. We can talk about music, so I'd like to sing the main parts with all our might!! The 2 of us!! I'd be happy if we had a live band!!! Oda Sakura: Takagi Sayuki-san! At any rate, I'd like to try singing lots of songs together. Chalk this one up to coming from Aichi. Suzuki Kanon: Makino Maria-chan, Fujii Rio-chan, Wada Sakurako-chan, Niinuma Kisora-chan, and myself. I'm glad that the number of members from Aichi have gone up recently, so I'd like to try having the five of us ina group! Fujii Rio: Suzuki Kanon-san, Makino Maria-chan, Wada Sakurako-chan, Niinuma Kisora-chan! I'd like to try a grouping of the members who hail from Aichi prefecture. They've even thought up a unit name, so there's quite some forethought there. Sasaki Rikako: Makino Maria-chan. I've always been friends with her ever since we were in the H!P Kenshuusei. Even now, whenever we'll be standing on the same stage, we'll huddle before the performance starts, just the two of us. So I'd like to be together in a unit! Makino Maria: Sasaki Rikako-chan. Ever since we were in the H!P Kenshuusei, we said that if we were ever in a 2-person unit together, we'd use the name 'Cookie'! The fellow Ogatas struck on the same idea. 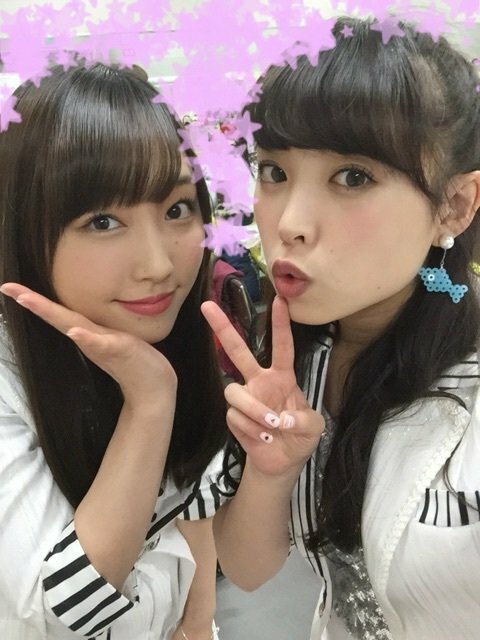 Ogata Haruna: Ogata Risa-san. Since our faces are similar, I feel that you wouldn't be able to tell the difference if we wore the same clothes and did the same dance. Ogata Risa: Ogata Haruna-san. Our surnames are both 'Ogata', and we've also been told that our faces are similar, plus we've got lots of other common points, so I'd like to try being together in a 'Double Ogata' unit! These two friends who joined the Kenshuusei have long had a unit name ready. 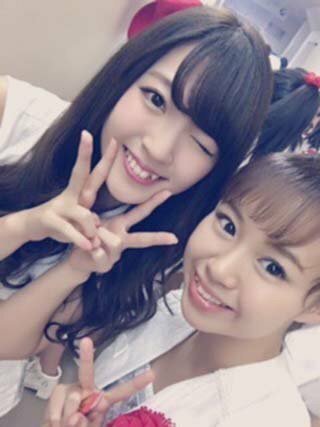 Yamaki Risa: I'd like to try being with Fukumura Mizuki-san. I personally really like her singing voice, so I'd like to try singing with her. Niinuma Kisora-chan. I'd like to have lots of eye contact with dear Kisora in our 'Yamakisora' unit. Niinuma Kisora: Yamaki Risa-chan. While it may be simply because we're close friends, I feel that it'd be amusing. 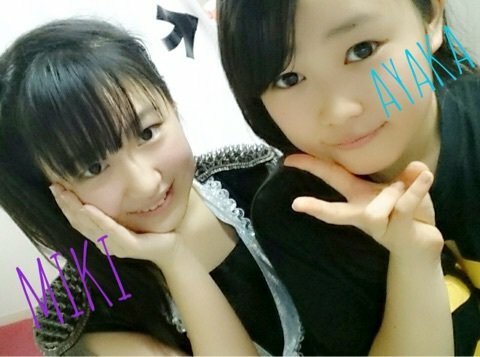 And finally, we arrive at Ayapan and Nonaka, who both nominated a wide swath of members - both with similar reasoning though: members of the same age. Hirose Ayaka: Nonaka Miki-chan, Morito Chisaki-chan, Niinuma Kisora-chan, Tanimoto Ami-chan, Kishimoto Yumeno-chan!! I'd like to try being in a group with my contemporaries who are of the same age!! Nonaka Miki: Sato Masaki-san, Kudo Haruka-san, Morito Chisaki-chan, Hirose Ayaka-chan, Nomura Minami-san, Ogawa Rena-san, Niinuma Kisora-chan, Tanimoto Ami-chan, Kishimoto Yumeno-san, and myself. I'd like to try being in a unit with everyone who's in their first year of senior high! Ikuta and Bakuwara chose members born in '97 and '98 respectively. Which meant that I had to go through each profile to get the list of members. As mentioned above, Nonaka and Ayapan also chose people of their own age. Kamiko pulls in her fellow Musume auditionees, including a Kenshuusei. Kamikokuryo Moe: Ogata Haruna-san, Nonaka Miki-san, Ozeki Mai-san, Tanimoto Ami-san, Asakura Kiki-san, H!P Kenshuusei Onoda Saori-san. 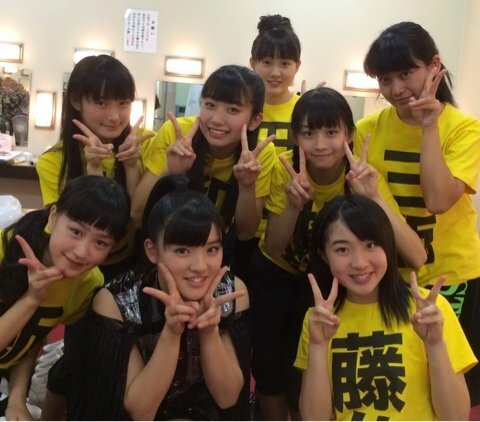 Since we were together at the Morning Musume。Golden Auditions, I'd like to try being in a unit with all these members. Tsugunaga Momoko: Miyamoto Karin-chan ♥ The both of us admire Matsuda Seiko-san, so I'd like to try singing THE idol songs together. Nomura Minami: Ozeki Mai-chan. Since our birthdays fall on the same day!! I'd like to become closer friends. Kishimoto Yumeno: Okai Chisato-san, Iikubo Haruna-san, Tsugunaga Momoko-san, and myself. A gathering of my favourite senpai. I feel like I'll spend the whole day with a smile on my face. And let's close out with the youngest one from the youngest group. Asakura Kiki: Inoue Rei-chan. I'd like to have activities as Kobushi Factory and Tsubaki Factory's youngest pair.